ToppCock Mint and Lavender Shampoo is formulated with mint to awaken your senses and lavender to nourish and hydrate the scalp. Wash your hair with the cool tingling sensation of mint and the moisturizing effects of lavender which helps control hair loss, improves hair growth and gets rid of dandruff. ToppCock’s signature ingredients deep-cleanses and protects hair and scalp from itch and odor-causing microorganisms. Safe for daily use. Works best with HydroMax Invigorating Conditioner. Dispense a small amount on damp hair and work into lather. Massage onto hair and scalp and rinse completely. Use product to clean hair and help prevent odor-causing bacteria and fungus. Works best with HydroMax Conditioner. 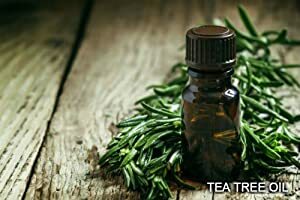 Tea Tree Oil is known for its antiseptic properties and has been used to treat cuts, wounds, burns, boils and other skin disorders for centuries. It contains Terpenoids such as terpinen-4-ol, eucalyptol, cineole, nerolidol and viridiflorol which are all antimicrobial agents that effectively kill bacteria and fungi thus preventing odor and infections. 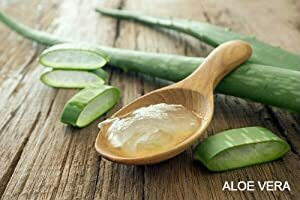 Aloe Vera has been used for centuries for its medicinal and healing properties. It contains polyphenols which are powerful antioxidants that help inhibit the growth of bacteria that cause infections and inflammation. It also works as a natural moisturizer and helps soothe itch and rash. Ingredients: Deionized Water, Centrimonium Chloride, Cetyl Alcohol, Cetyl Stearyl Alcohol, Dimethicone, Amodimethicone (and) Centrimonium Chloride (and) Trideceth - 10, Cyclopentasiloxane (and) Dimethiconol, Stearic Acid, Lavandula angustifolia (Lavender) Oil, Panthenol, Methylisothiazolinone (and) Chlorphenesin, mint Essence, Malaleuca alternifolia (Tea Tree) Leaf Oil, EDTA. ToppCock believes that good grooming makes proper gentlemen and there's nothing more appealing than a fresh, clean smell. That's what makes a ToppCock man stand out from the crowd. ToppCock Men's Grooming Products are committed to quality ingredients and the newest technology that delivers superior products with the absolute best performance to ensure your lifestyle is full of confidence and success.